We have a passion for real ale gravity fed from firkin casks on classic stillage behind our bar, this is backed with an extensive collection of traditional local farmhouse cider and a rotating line of local craft beer. Our new roof terrace is the hidden gem of Church Road - catch the last rays of sun with your pint, or check out our upcoming events to see when we've got DJs filling the air with fantastic tunes. 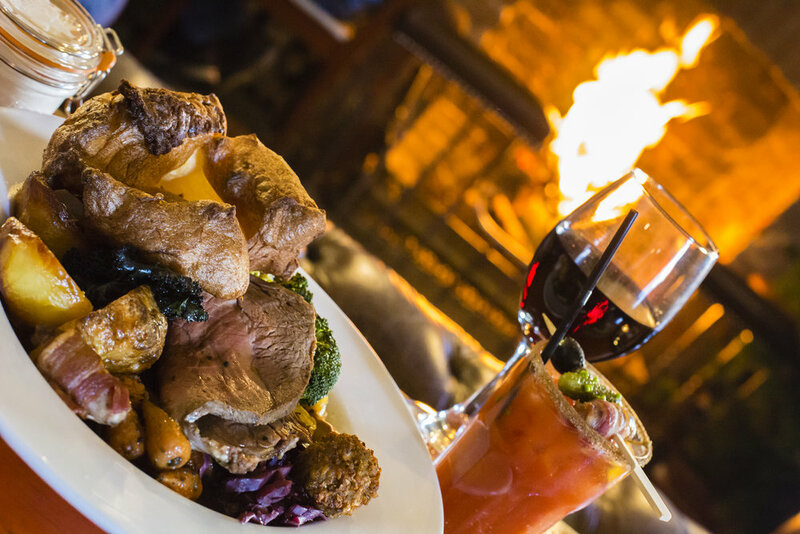 Sunday Lunch is our speciality here, we serve locally sourced and free range Sunday roasts, every Sunday until late (4pm). We've been recognised for our "dreamy" veggie and vegan options - and we even do a vegan Yorkshire pud, and vegan cauliflower cheese! We pride ourselves on our Bloody Mary - our secret recipe infused vodka, married perfectly with our in house Virgin Mary mix - all you need for a perfect Sunday! The rest of the time, we keep our food simple, we are a boozer after all, Traditional (Pieminister) pie and mash, accompanied by our famous secret recipe onion gravy and minted mushies. Or just come in and graze on our range of homemade and locally sourced British tapas bar snacks. Dog friendly (and next to St Georges park), chatty knowledgeable happy staff, open mic performances, a roaring open fire, bashed up leather furniture, upright piano, weekly quiz nights, weekend DJ’s, event space for hire, Bierkeller tables, a secret dancefloor with huge glitter ball available to hire, put on nights etc. Come and try the Sunday roast described as "dreamy" by a Tripadvisor reviewer - booking is advisable - give us a call on 0117 9555 725. Roasts are served between 12pm and 4pm during the colder months - for Summer roast availability please give us a call. The rest of the week we serve delicious Pieminister Pies, and a seasonal tapas menu. Pieminster pies cooked to perfection, served with our own secret recipe gravy. Home cooked tapas dishes such as shakshuka & mac n’ cheese. Plenty of vegan and veggie options too! Give us a call to book, or just turn up! LOOKING FOR A PLACE TO STAY IN REDFIELD, EAST BRISTOL? Look no further! We have three beautiful self contained rooms above The Dark Horse, on Bristol’s lively Church Road. These rooms have all been freshly decorated to a high standard, and we’re perfectly placed for a break in the city, a short bus ride from the centre, and right in the heart of Redfield. The beautiful St. George Park is also just a 2 minute walk away. The rooms all have their own en-suite, and we operate a self check-in, so you don’t need to be restricted to arriving when we’re open.